Personal Career Management have worked with individuals and businesses in London for over 10 years providing career management programmes, practical job search support and outplacement services. Your career coach in London will work with you on a 1-1 basis from our office in Baker Street, London or remotely via Skype. We offer a very personal service. Your career coach will work with you on a one-to-one basis and you will benefit from specialist help in all aspects of the career management and job search process. We also provide research services to make job-searching more time-efficient. We are described as the “best in the business” by leading industry figures such as Telegraphjobs, Guardian, Trinity Mirror and Monster and our book “You’re Hired! How to write a brilliant CV” is the UK’s no.1 best-selling CV book! We provide 1-1 career management programmes helping individuals to explore career options and move into their ideal role. Our career coaching and outplacement programmes can be delivered either face to face at our London office in Baker Street or remotely via Skype. Whether you are at a career crossroads, have been made redundant or need support with your job search, Personal Career Management can help. Whether you are looking for a radical career change or a more subtle change in direction, it is essential to make sure that any move is carefully thought through. Otherwise, there is a risk that you will carry any existing dissatisfaction into your next role. Our job search programme can help you to find and win the perfect job. Our career coaches will work closely with you on areas such as CV writing, practical interview training, application forms, networking and using social media as part of your job search campaign. Looking for outplacement support in London? If you’re looking for a career coach we can provide a free introductory meeting for you to find out more about our career coach London based programmes and how we can help. This meeting can be held at our office in London or remotely via Skype. Our Corporate Services range from individual outplacement programmes, job search & career development group workshops, Executive & Director coaching to in-house career development services. We have worked with many London-based organisations in both the public and private sector supporting their employees and HR teams to manage any redundancy situations or restructuring. Some of our corporate clients include; Buckingham Palace, Capital One, Wellcome Trust, Brent Council, CBI, Halfords, Monsoon and Travelex to name a few. We would be happy to come to your office to talk to you about your requirements, big or small, to see how our services can help. London is the most populous European city with an estimated population of 8.8 million reported in June 2017. The median age for London is 34.8 compared with a national average of 40. Only 11.6 per cent of Londoners are aged over 65, compared with 33.3 per cent in west Somerset. The Mayor believes London’s “incredible” population boom is “testament to the fact that it is one of the best cities in the world to live in, work and visit, with a thriving economy, a low crime rate and a roaring cultural scene”. London is known for the stunning views from The Shard, The London Eye and Primrose Hill as well as the fantastic museums including the Natural History Museum, Tate Modern, British Museum and Science Museum. London is by far the largest contributor to the economy among the regions and countries of the UK. It makes its greatest contribution from financial and insurance activities. As a major world financial centre with a range of business specialisms London attracts a highly skilled workforce. London’s working population are more likely to be employed in managerial, professional or associate professional and technical occupations. London’s financial sector is very significant and accounts for 45.8% of the total financial and insurance sector in the UK. The most recent Business Register and Employment Survey (2017), shows that 483,000 people are employed in the City of London. This represents 9% of Greater London’s employment, and 1.6% of the GB’s total employment, meaning that over 1 in 63 of the GB’s workforce are employed in the City. Major employers in London include; PricewaterhouseCoopers, the world’s largest professional services firm who employs an estimated 146-161, 000. Ernst & Young, one of the largest professional services firm along with GlaxoSmithKline, the British based pharmaceutical, biological and healthcare company who employ between 99-103, 000 and the Virgin Group, the conglomeration of separately run companies that uses the Virgin brand employing 35-50, 000. The ‘green economy’ is fast growing in London, with carbon finance worth between £23 and £27 billion and employs 160,000 people in 9000 businesses. London is home to some of the most famous sporting venues in the world such as; Wimbledon, Wembley Stadium, Twickenham and Lords. It is also home of Westfield Stratford, which is the largest urban shopping centre in the EU and to world-class Universities. 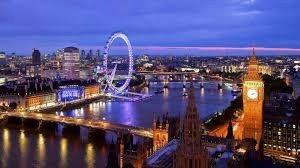 London consists of 18 self-governing colleges and 10 specialist research institutes consisting of over 120,000 students. It has an excellent reputation for high quality teaching and research. The University offers a wide range of commercial and academic services, which is also accessible to members of the public. Within the Senate House Libraries is the conference venue located in Bloomsbury, which large space is suitable for large corporate events, exhibitions, product launches, awards ceremonies and fashion shows. Located in the heart of London, City University London is a leading international University and in the top 5% of Universities in the world. The Sir John Cass Business School has been ranked in the top 4 business schools in the UK. The City currently has approximately 19,000 students from around 150 different countries. The University is committed to supporting community projects and education and has also been recognised for its environmental achievements. University College London (UCL) was established in 1826 and currently has 27,000 students. UCL is ranked 4th in the world’s top 10 Universities and is associated with several major teaching hospitals such as; Great Ormond Street Hospital for Children, the Royal Free Hospital and Moorfields Eye Hospital. Brunel University is based in Uxbridge, West London and has nearly 15,000 students from over 100 countries worldwide. Brunel is a campus-based university and has recently invested £350 million into redeveloping the campus, enhancing its excellent teaching and research facilities. Brunel is in the elite top 10% of Universities for innovation and business partnerships including; Strategic Research Alliances and Corporate Partnering. If you’re looking for a career coach in London and for more information on how we can support you in getting your next role please contact our London office on 0207 060 7318 or fill in our contact form and one of our career consultants will be happy to call you back to discuss our services.